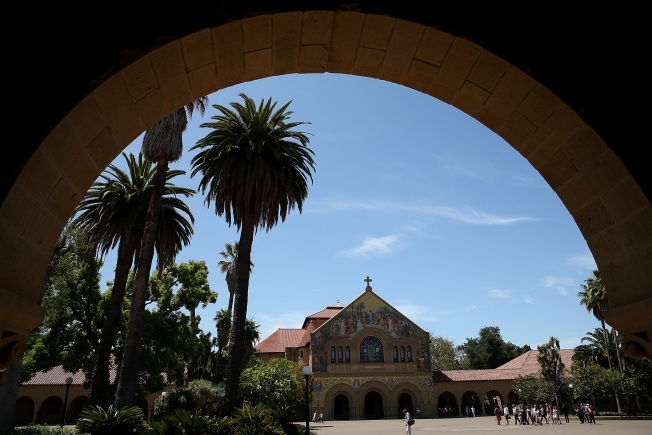 A reported flasher exposed himself to three victims on the Stanford University campus early Sunday, according to campus police. The alleged perpetrator was next to his parked car when he flashed the victims on the east side of campus around 1:55 a.m., according to campus police. The reported flasher then fled the scene in a white sedan, according to campus police. The man is described as being between 30 and 50 years of age, about 6 feet tall, and heavy set. He has short dark hair, a short beard and was wearing glasses. He also seen wearing a dark polo shirt and dark tracksuit jacket. Anyone with information is asked to contact the campus police department.